Keep up to date with what work Hugh Southgate (Ringwood Plumber) is currently undertaking. Having decided it was about time I embraced modern technology, I have invested in a 360° camera. Whilst it is all well and good to have a look at some of the photos of my kitchens and bathroom refurbishments, I thought what could be a better way of truly looking at what I do than being in control if it yourself. So over the next few months expect to see some photos of new kitchens and bathrooms I have done that you can jump into and drag the view around to look at exactly the bits you would like to see, rather than what I choose to show you. I will still continue to upload the normal pictures too, but thought this might add something different and let you really feel involved in what I do. 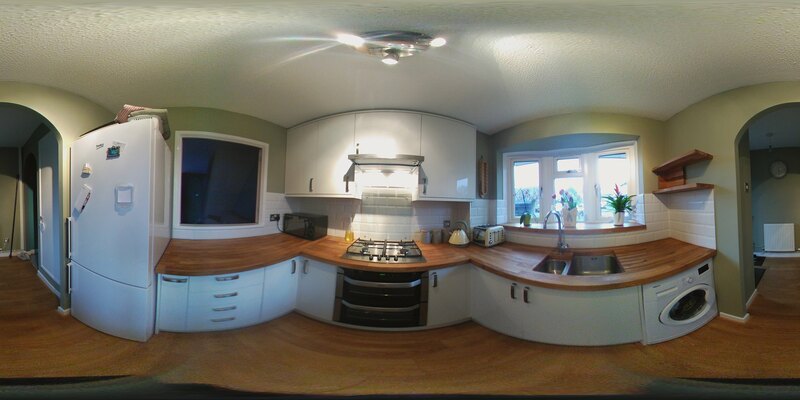 Here is the first one, a small but perfectly formed kitchen I have just finished in Verwood. Hugh Southgate Plumbing and Heating can now take credit card payments!